Below you will find a list of ongoing service opportunities. Additionally, opportunities will be e-mailed to the class listservs. 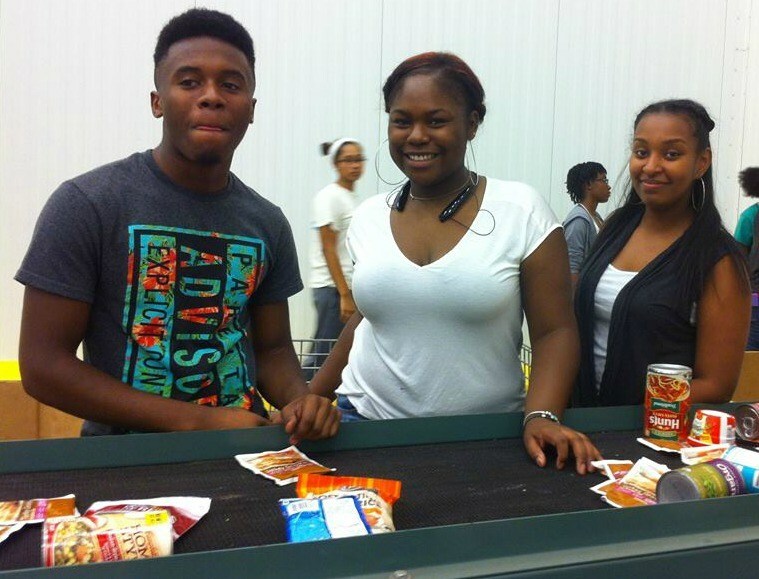 Capitol Area Food Bank - help sort food donations at their warehouse in Brookland. Sign up using their online volunteer portal. Carroll Manor at Providence Hospital - assist the elderly. Call 202-269-7759. DC Central Kitchen - prepare food for the hungry. Sign up using their online volunteer portal. Food & Friends - help serve home-delivered meals for individuals with HIV/AIDS. Sign up using their online volunteer portal. Little Sisters of the Poor Nursing Home - assist the elderly right next to Carroll. Contact volwashington@littlesistersofthepoor.org. Loaves & Fishes - serve food to the hungry on weekends in Columbia Heights. Register on their website. Martha’s Table/Martha’s Outfitters - help prepare meals/sort clothing at their U St. NW headquarters. Sign up using their online volunteer portal. Miriam’s Kitchen - serve food to the hungry in Foggy Bottom. Sign up on their website. Missionaries of Charity Gift of Peace House - volunteer in Brookland by calling (202) 269-3313. Reading Partners - tutor children in different parts of Maryland and DC. Sign up on their website. Shrine of the Sacred Heart Dinner Program - help serve dinner to men experiencing homelessness in Columbia Heights. No sign-ups needed; meet in the Church basement. So Others Might Eat - cook and serve meals for the hungry in NE DC. Sign up using their online volunteer portal. Thrive DC - cook and serve dinner to women and children in Columbia Heights. Contact greg@thrivedc.org. We Are Family - create grocery bags and deliver them to the homebound in the Columbia Heights area. Contact marka@wearefamilydc.org. *Looking for volunteer opportunities closer to home? Consider contacting a local school or nursing home about volunteering. Also use volunteermatch.org!